There’s no doubt that we can have some great weather in Bedford, and that fall and spring can be some truly wonderful seasons. But as nice as those are, there are still the times that you really need to change the temperature on the inside of you home. When you’re having trouble with temperature control, here are some ways that a professional handyman service can help. Bedford’s climate is nice, but that doesn’t mean you should have to suffer through hot days of summer just waiting for fall to come. 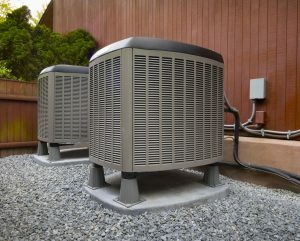 Air conditioners are more complicated than ever, so it’s a good idea to get a handyman service on the job as soon as you notice something is wrong. Is the fan blowing but no cool air is coming out? Is there ice forming on the hoses or pipes on the outside unit? Give us a call right away before the problem gets worse. Furnace repair isn’t just a convenience or comfort issue; it can be a matter of life and death. While people have been living through Bedford-area winters for hundreds of years, they often did so with heating sources that many of us no longer have in our homes. This means that, once you notice something is wrong with your furnace, it’s a good idea to call a handyman service as soon as possible to take care of your heating repair. When a window gets cracked, many people will often ignore it for too long. After all, it might be cracked but it’s not like there’s broken glass lying all over the place. Unfortunately, this also makes them ignore that window, never touching it and certainly never opening it. This means that you’re going to get less air moving through you home when it’s spring and fall. Instead of living with a cracked window (that is more likely to truly break and become a real danger) give handyman services a call and we’ll get it taken care of. Don’t let some easily-repairable problem with your house cause you to suffer through the seasons. If you need help getting your temperature under control, give Home Maintenance Solutions a call!